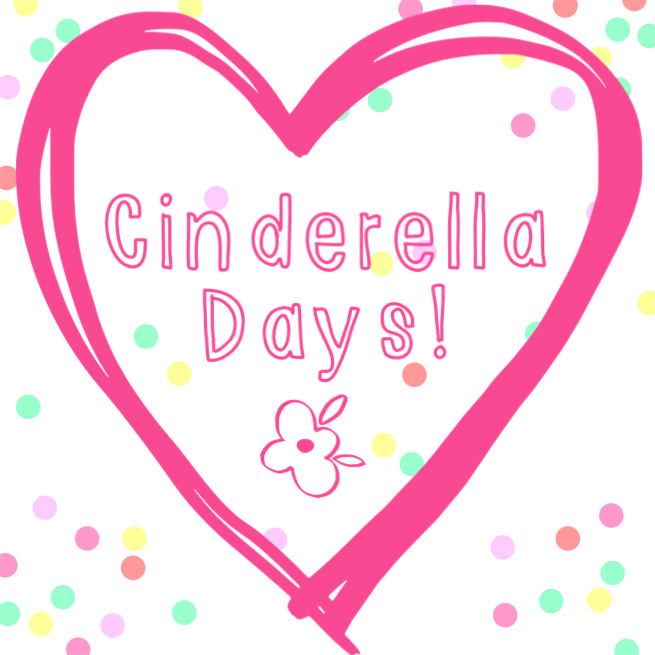 It was all about gearing up for back to school (where did summer go…) with my granddaughters for our latest “Cinderella Day” together! 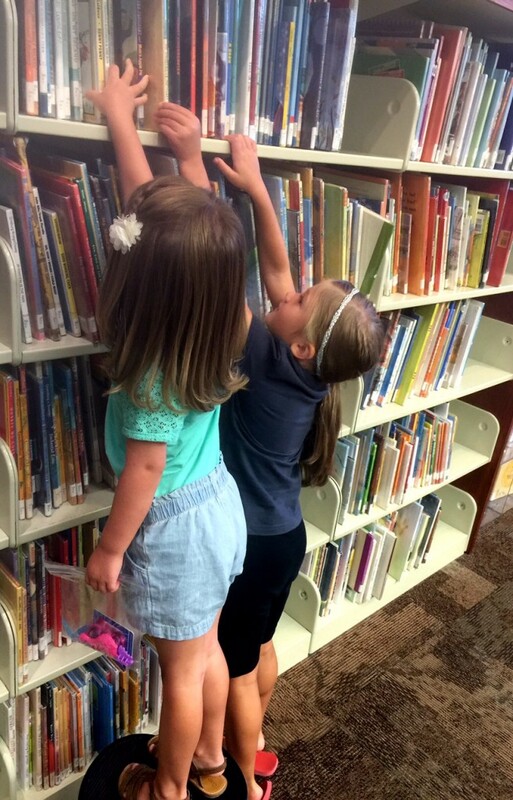 I was delighted to see the look of excitement on my two granddaughter’s faces as they anticipated the adventures they knew they would have inside the library! 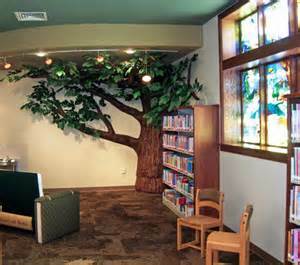 I have often thought of libraries as being the “secret gardens” for books! Of course, the girls will tell you that the very best books are always found on the top shelf! Ha! 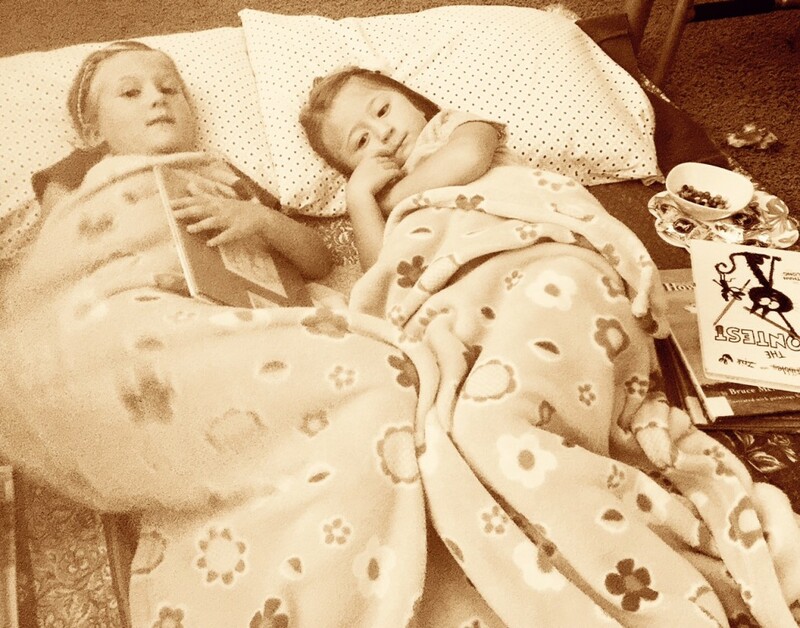 It has been fun to watch Makena become immersed in a good book since learning to read; she likes reading to Marli too! The cover picture of this cute book caught Marli’s eye right away. 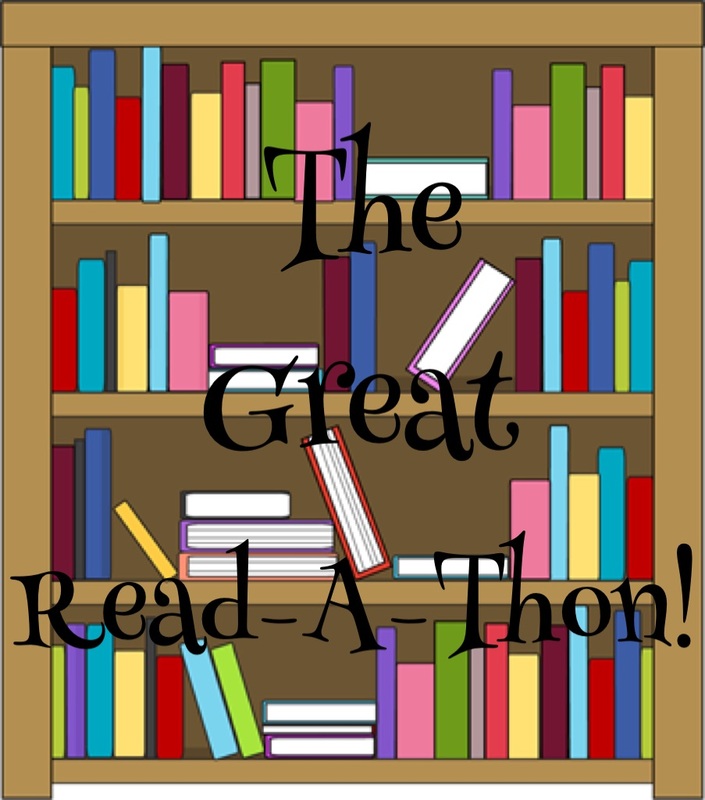 When I read her the title, both she and Makena said it was a “must read” for us, since where we live is well-known for the strong winds that hit our community on occasion! 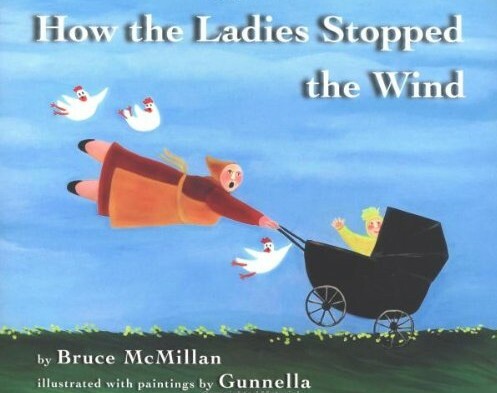 This fun book tells the story of some rosy-cheeked ladies of Iceland and their plan to plant trees to help buffer the strong winds that blow through their village. But despite their best efforts, the sheep keep eating all the newly planted tree saplings. 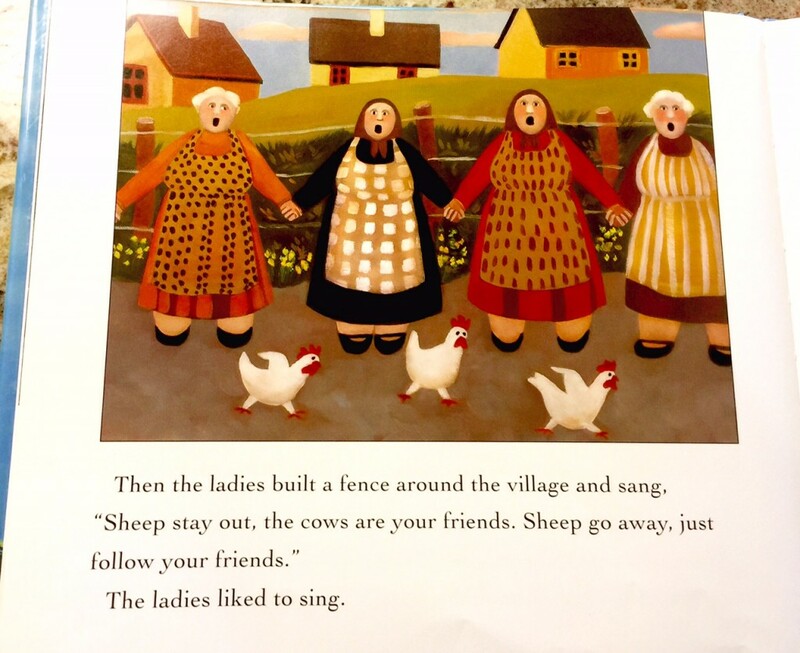 The folk art in this book is bright and beautiful, and I love how the story emphasizes the fact that you can never underestimate what can be accomplished when everyone, including children and animals, works together towards a common goal! This book is just one in the series written by a husband and wife team about the adventures of Ella the Elegant Elephant! In this particular book Ella really wants to help out in her mother’s bakery! 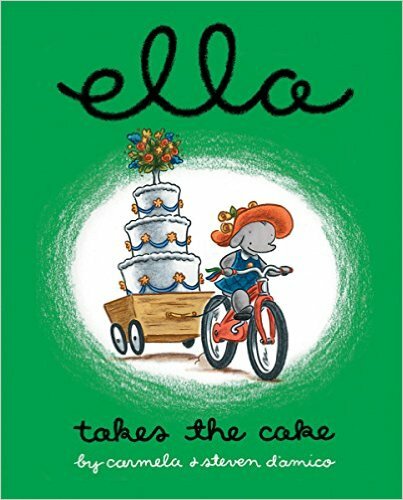 Marli informed me that she picked this book because she loved Ella’s red hat and cute bike! The events that take place in this book are described on the cover page: Ella may be little, but she still wants to help. Only her mother says she’s too small to slice the cakes and too young to bake the cookies—so how in the world is she supposed to do anything important? 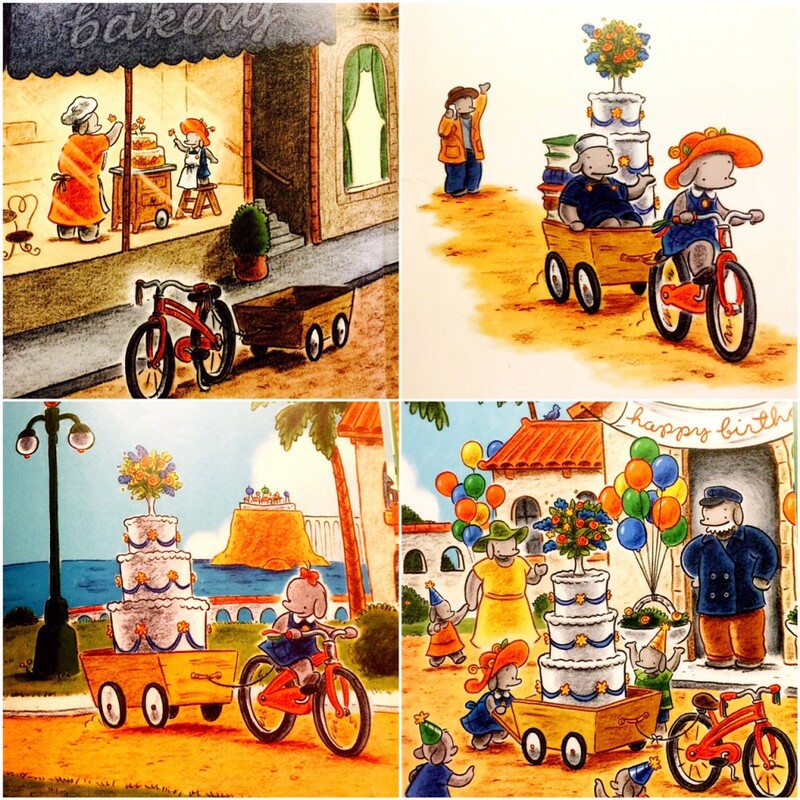 When Ella’s mom finally does decide to let her make a cake delivery, it’s not without a few obstacles in the way! 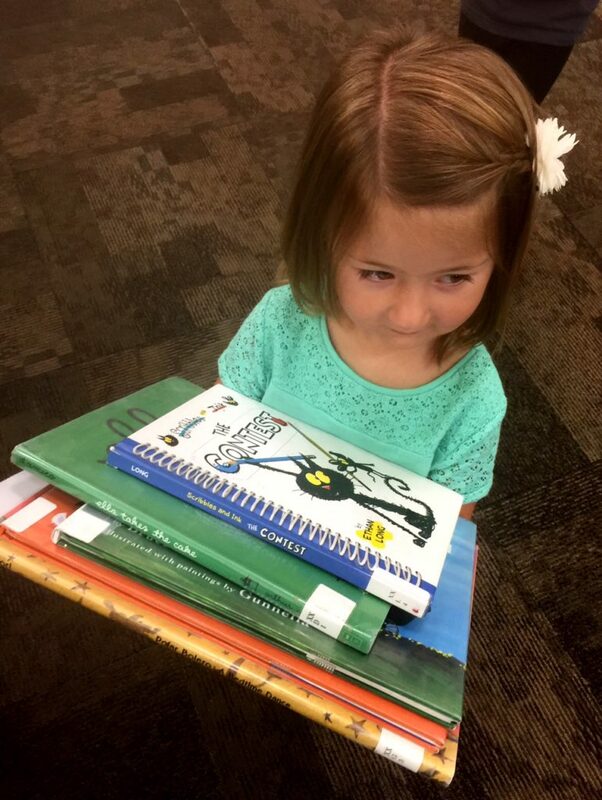 Ella better hang onto her good luck hat, because it looks like she might be in for a bumpy ride! Besides the colorful illustrations, I like the neat lessons about trust, responsibility and completing a job that are taught in this darling book! I couldn’t help but grab a quick shot of the girls as I read to them during our Read-A-Thon! 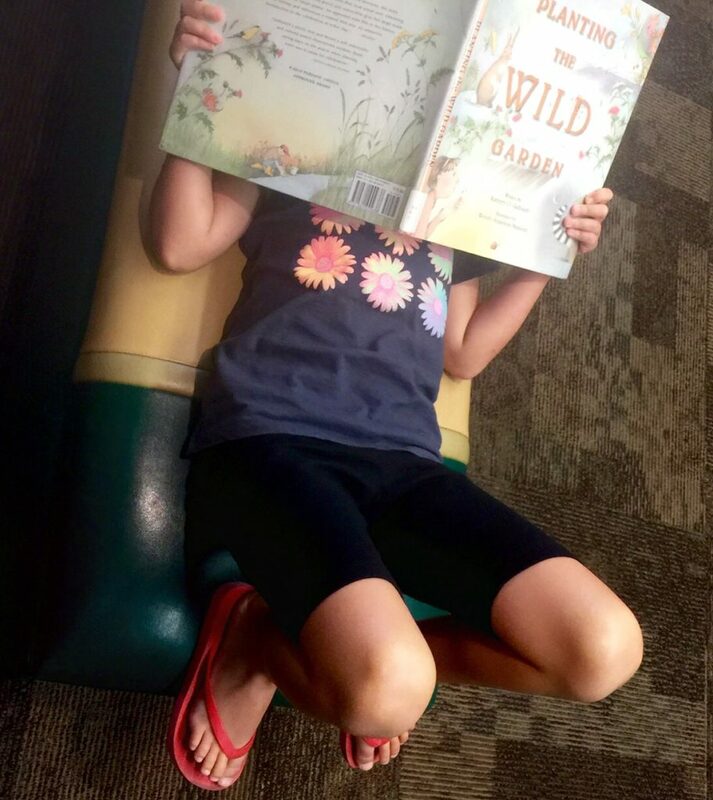 This book was being showcased on a feature shelf the day my granddaughters and I visited the library…..they were immediately drawn to this book since their mom had recently signed them up for gymnastics–we decided we had to sit right down and read this book while we were still at the library! Kika is the happiest when she is active and upside-down. This makes her different, but she is a cheerful child and accepts that being a little different is okay! 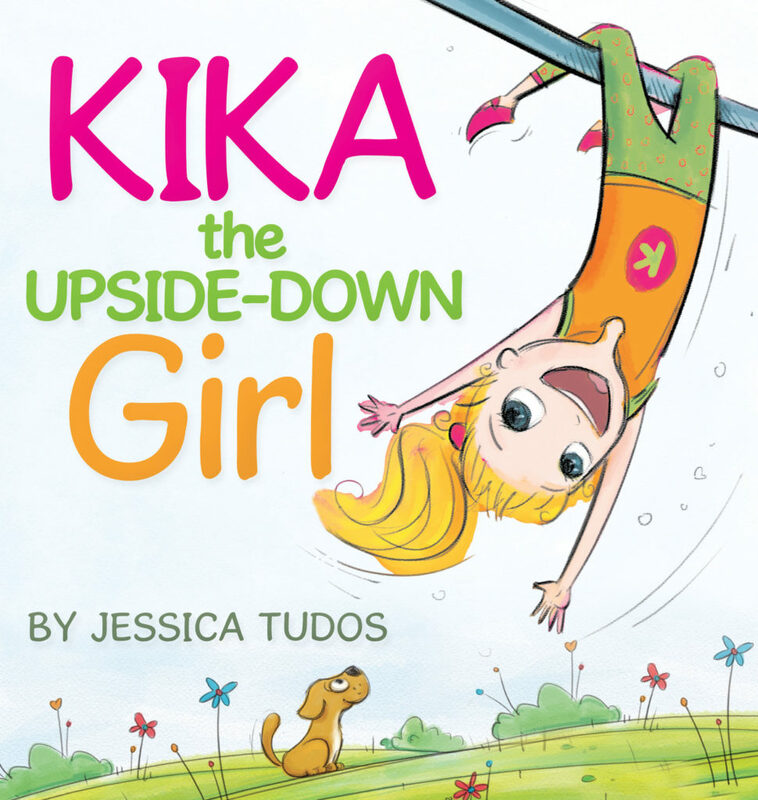 Kika is even happier when she learns that her mom has signed her up for classes at the big Gymnastic Emporium where she meets other children who love being upside-down too! This is such a fun, action-packed book with adorable characters. 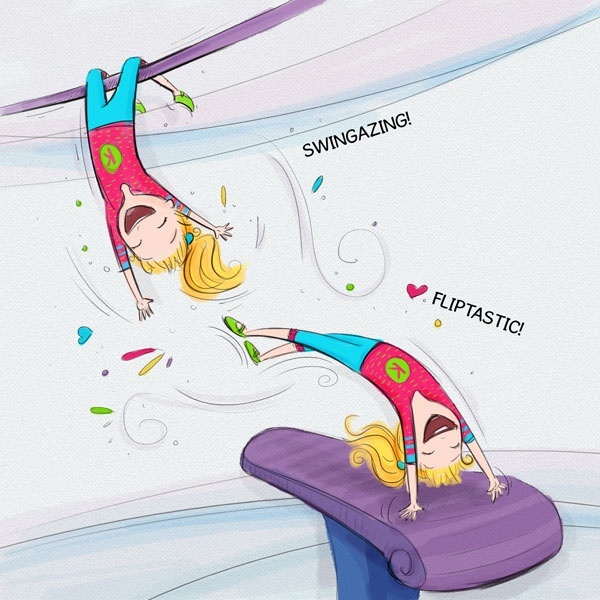 What really makes this book special is that it’s about gymnastics, and was written by an Olympic gymnast! I can’t even begin to tell you how thrilled Makena was to discover the Rainbow Fairy Book series for young readers during her wanderings at the library. 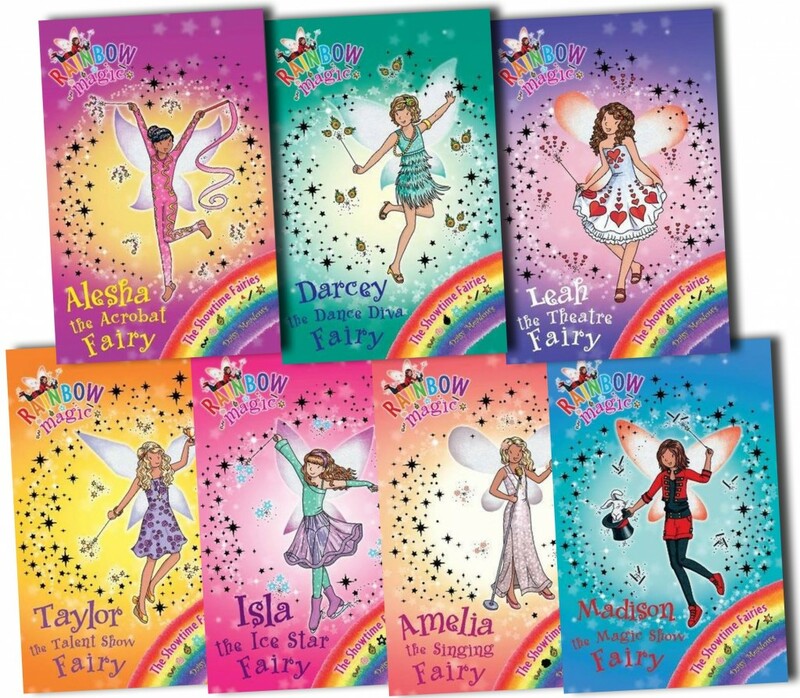 I’d imagine that any of us would love it if some brave, valiant fairies came to our rescue when things didn’t go according to plans–but for young girls with keen imaginations, these books are a wish come true! Nothing quite matches the limitless adventures that are at your fingertips within the walls of your local library! If you haven’t been in a while, my granddaughters and I would highly recommend it! Such a fun idea! I’ll have to try this with my littles. It was so much fun, Shauna. Neat books always seem to provide the best adventures for everyone when you read them together! It’s one of my very favorite things to do with my granddaughters!